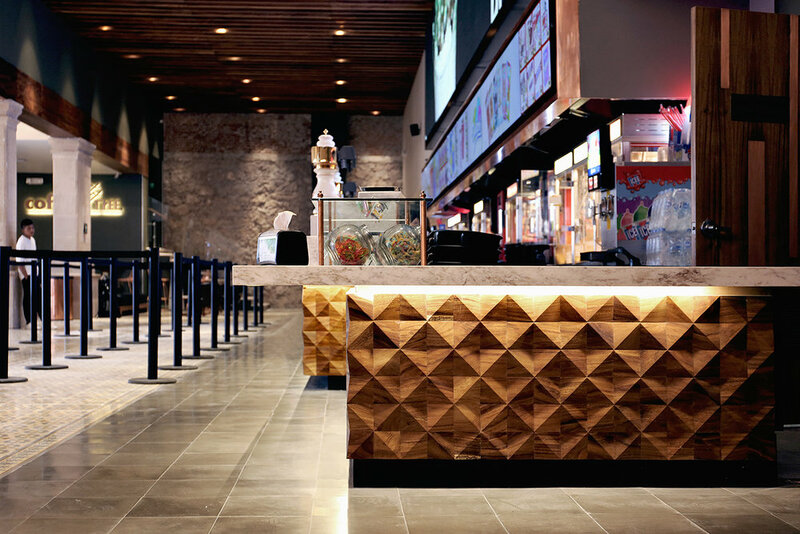 In a new collaboration with Cinépolis, the largest film company in America, we worked on the creation of an exciting brand experience for its most emblematic and old cinema, right where the company’s very first film was screened: the Cinépolis complex in the center of Morelia, Michoacán. Courtesy of CM2 Management, photography by Pedro Hiriart. 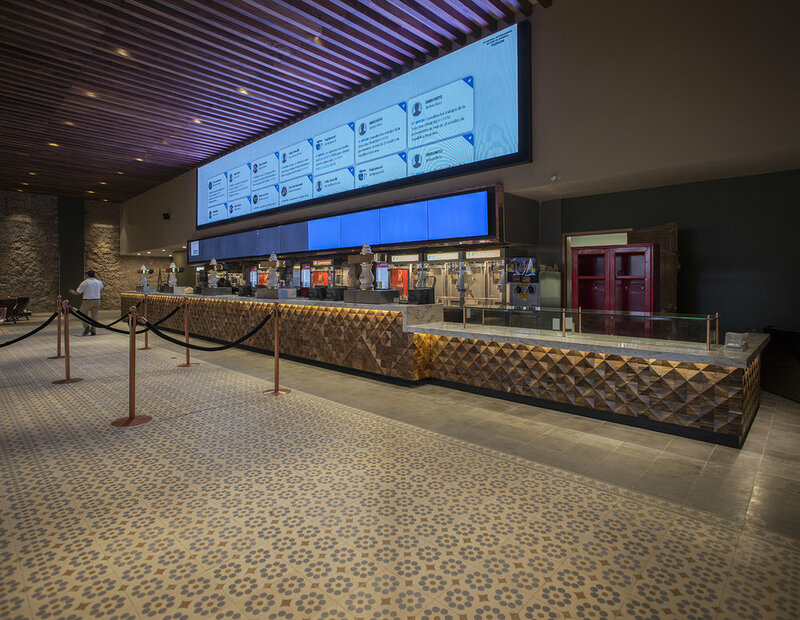 In a new collaboration with Cinépolis, the largest film company in America, we worked on the creation of an exciting brand experience for its most emblematic and old cinema. It was in this place where the company's very first film was screened, the Cinépolis Morelia Centro, in the state of Michoacán. In our goal to create a contemporary narrative for all people who enjoy the space, we translated decorative elements from one of our already classic designs (the Rocky collection for NONO), to the original architecture of the place. 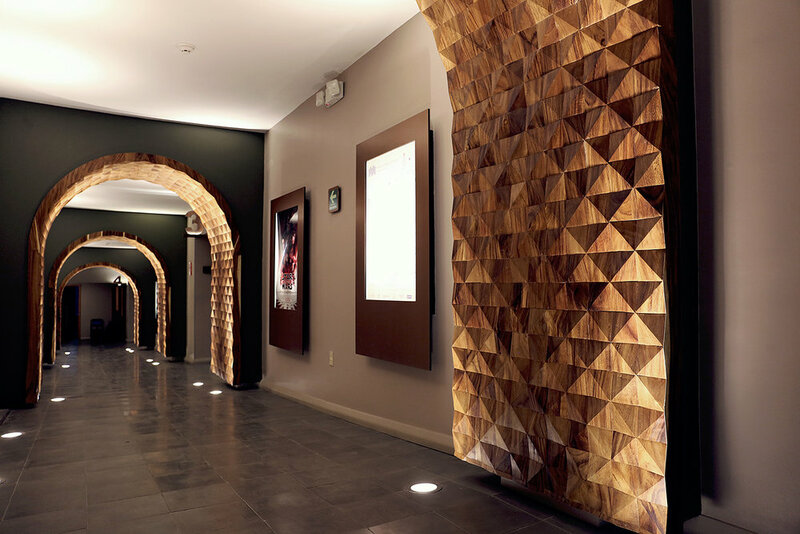 True to the tradition of copper works in Michoacán, we created natural wood finishes with inlays of this material. The balance we achieve with the tones, textures and patterns, offers an experience of comfort and delight in the environment. 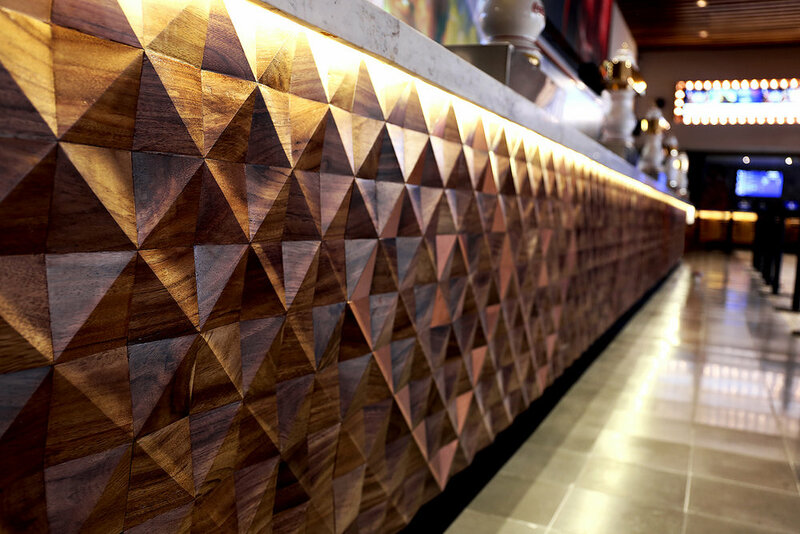 Natural wood finishes with copper details. 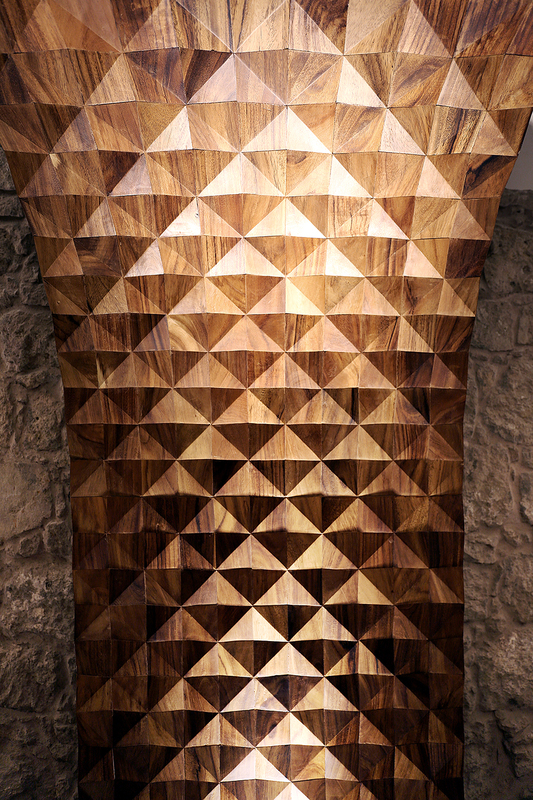 Arches with triangular pattern in natural wood.